We are the leading manufacturer and supplier of extensive collection of Scrubber System, which are of the highest quality. These are manufactured by obtaining high graded raw materials. All the products are manufactured under the strict guidance and observation of our professionals at par with internationally norms. 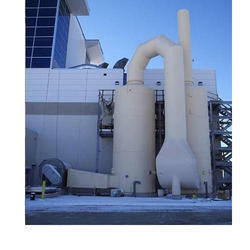 Our collection of products includes Venturi Scrubbers and FRP Scrubbers. We are looking for inquiries from South India region like Dravida including Andhra Pradesh, Karnataka, Kerala and Tamil Nadu and cities like Bangalore, Chennai and Hyderabad. We are glad to present our broad ranges of exclusive collections of PP and FRP Scrubbers to our valuable patrons. These are extensively used in various industries to neutralize harmful gases and fumes. Our products are widely appreciated for their excellent anti-corrosive nature and excellent quality. These are made out of excellent quality raw components such as polypropylene (PP)-FRP, FRP and PVE-FRP which are obtained from trusted vendor base. These can be customized depending on the requirements of the clients. We are into manufacturing and supplying a comprehensive range of FRP Scrubbers that are appreciated amongst the clients for high durability and seamless performance. Clients can avail them in different technical specifications and are delivered in well-defined time. Our custom design FRP Industrial Scrubber is generally installed on chimneys or air exhaust systems to control pollution. These are made of high graded raw material with the help of sophisticated machines and latest technology. Capability to neutralize corrosive gases. 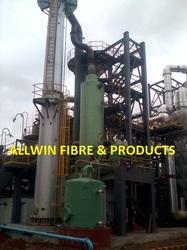 We offer wide array of high quality PP FRP Scrubbers to our valuable patrons. These are used for minimizing 99 percent of contaminant level of flue gas. These are excellent solutions for removing gaseous pollutants as well as solid pollutants. Scrubbing of the flue gas takes place at a high speed and pressure. However, velocity of the gas falls at the separator. It finds its application in various industries where the level of gaseous or substance pollutant is high. 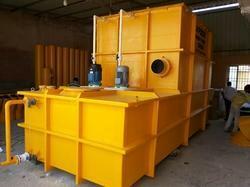 We offer wide array of high quality Scrubber System to our valuable patrons. These are used for minimizing 99 percent of contaminant level of flue gas. These are excellent solutions for removing gaseous pollutants as well as solid pollutants. Scrubbing of the flue gas takes place at a high speed and pressure. However, velocity of the gas falls at the separator. It finds its application in various industries where the level of gaseous or substance pollutant is high. We offer wide array of high quality Wet Venturi Scrubbers to our valuable patrons. These are used for minimizing 99 percent of contaminant level of flue gas. These are excellent solutions for removing gaseous pollutants as well as solid pollutants. Scrubbing of the flue gas takes place at a high speed and pressure. However, velocity of the gas falls at the separator. It finds its application in various industries where the level of gaseous or substance pollutant is high.